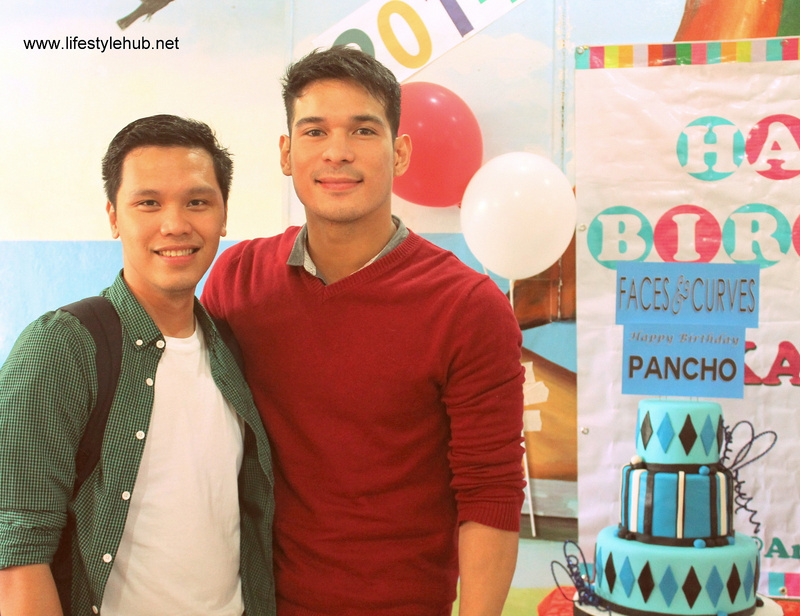 Standing at 6-feet tall with washboard abs in between, Pancho Magno is your ideal Filipino hunk. His deep voice, semi-kalbo look, and gestures are all expected from a man packaged to be macho and mysterious. But crying, especially without the cameras rolling, is a surprising addition to this branding. I've seen Pancho a lot of times playing as the new guy in love triangles on TV. With that physique, he easily landed a role on the runways of Bench and Cosmo. 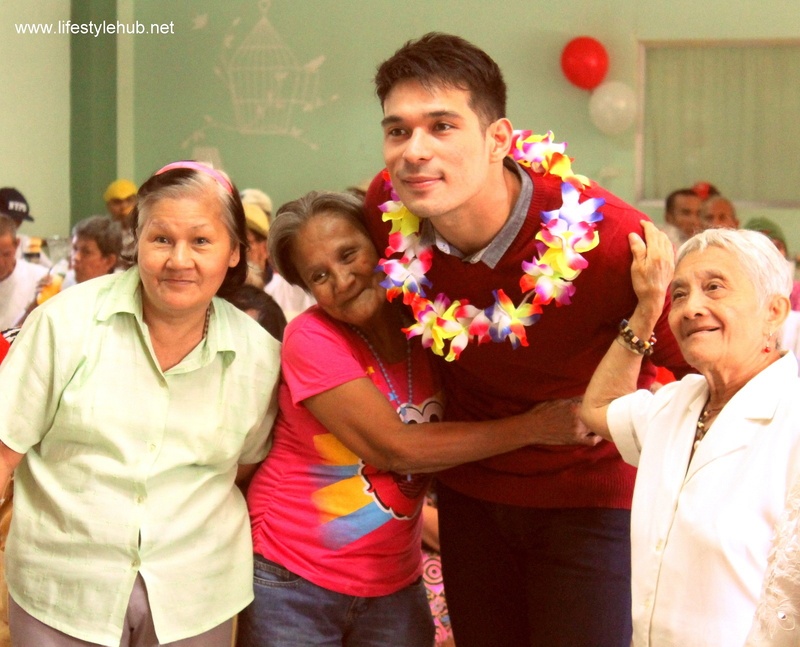 So, I imagined him to be donned in Rayban shades, body-hugging shirt and jeans, while sitting quiet with a few smiles for his birthday charity event at Manila Boystown in Marikina. But when I came, he was already crying. I asked his handlers the reason for his tears. They said he was touched by the song and dance number that the elders prepared for him. 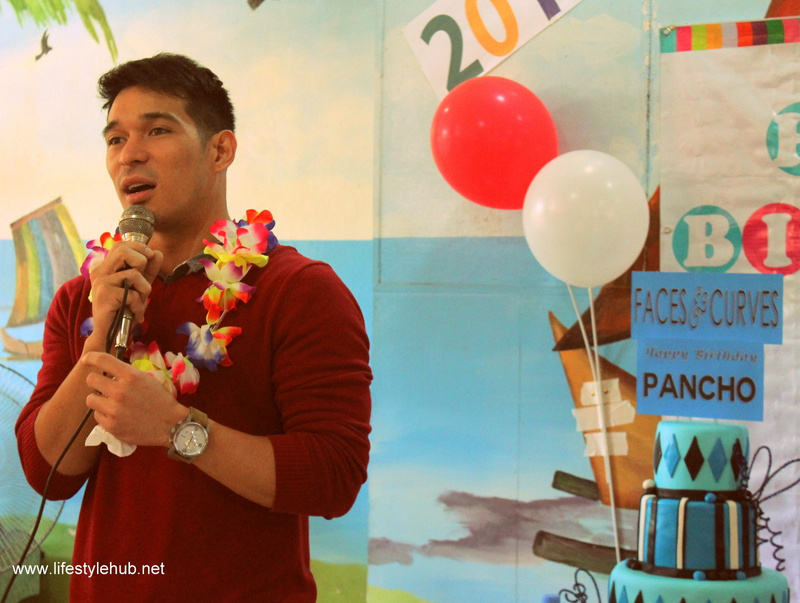 Magno just turned 28 and customary for talents under GMA Artist Center, they celebrate their birthdays at their chosen charities. 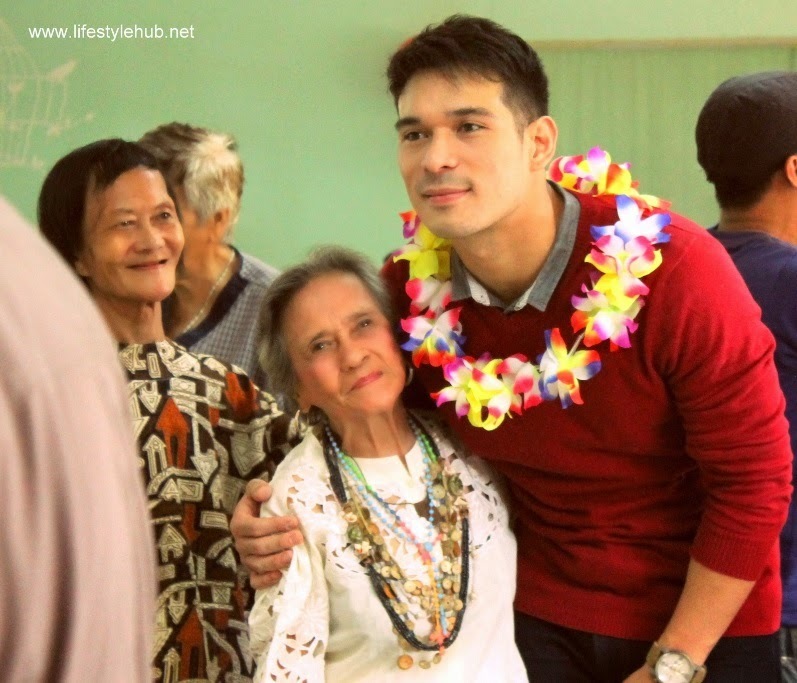 With his schedule, Pancho let GMA chose the charity institution and was surprised with what he saw in Boystown. In a short interview, Pancho revealed how he remembered his grandparents who were very close to him. 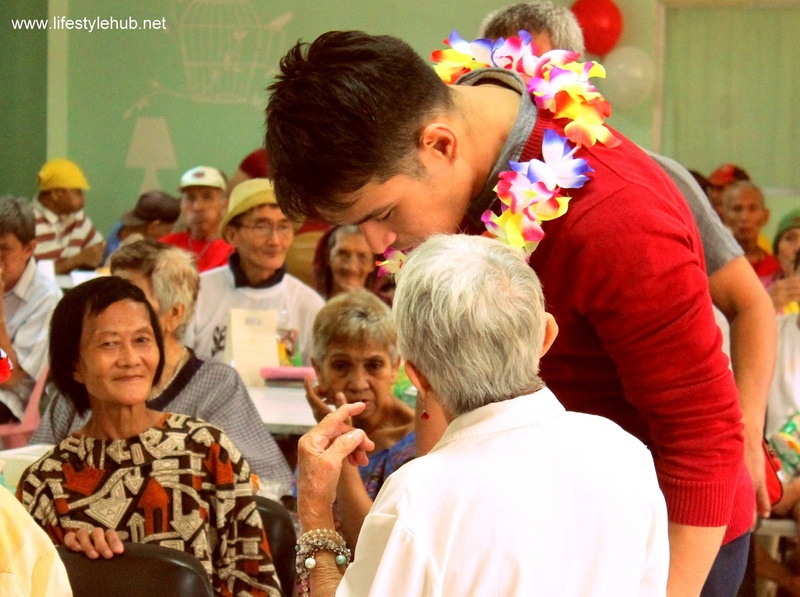 The Kapuso actor revealed how his grandfather fought with old age and died when he was still 15 years old. "Naalala ko lang lolo ko. 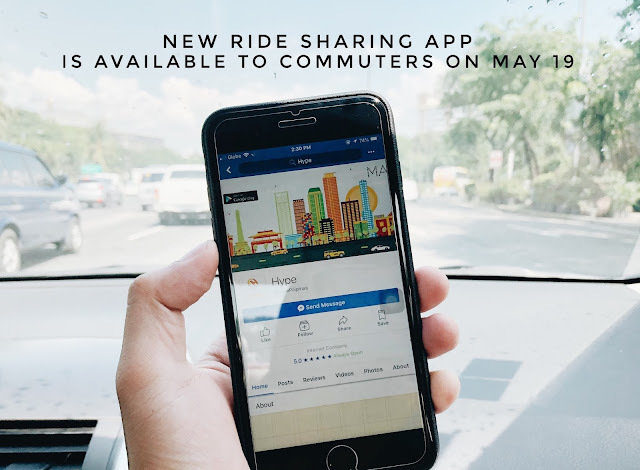 Pasensya na kayo. Di kasi ako nakakakita ng ganito araw- araw. So medyo napaiyak lang ako when I saw all of them, sobrang masaya para sa birthday ko kahit na medyo nahihirapan na sila sa edad nila," he shared. Well, real men really do cry. Pancho is part of the GMA afternoon soap "Ang Lihim ni Annasandra" which airs from Monday to Friday after "Half Sisters". He shares casting roles with Andrea Torres and Mikael Daez in what its producers tag as a "steamy" afternoon soap.